Varna, Bulgaria - December 07, 2013: Female Hand Holding Apple.. Stock Photo, Picture And Royalty Free Image. Image 36506724. 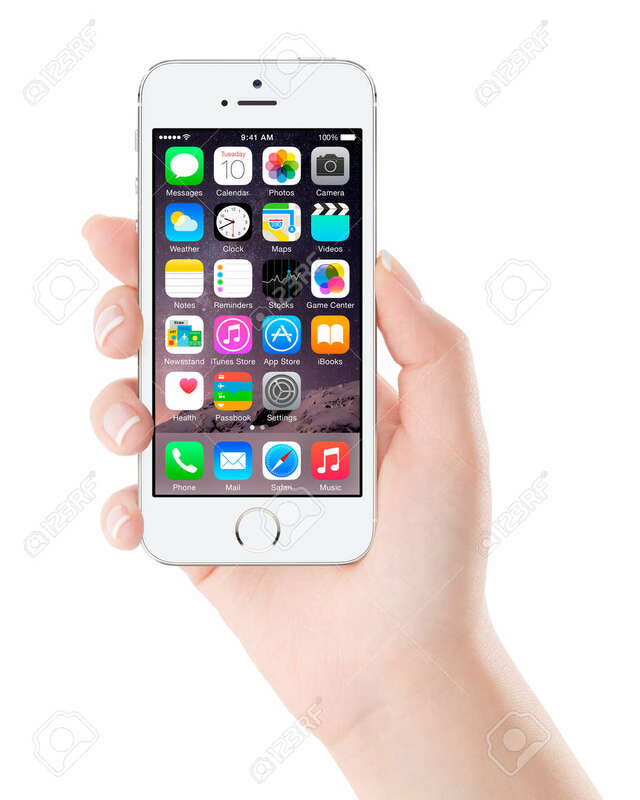 Stock Photo - Varna, Bulgaria - December 07, 2013: Female hand holding Apple Silver iPhone 5S displaying iOS 8 mobile operating system, designed by Apple Inc. Isolated on white background. Varna, Bulgaria - December 07, 2013: Female hand holding Apple Silver iPhone 5S displaying iOS 8 mobile operating system, designed by Apple Inc. Isolated on white background.